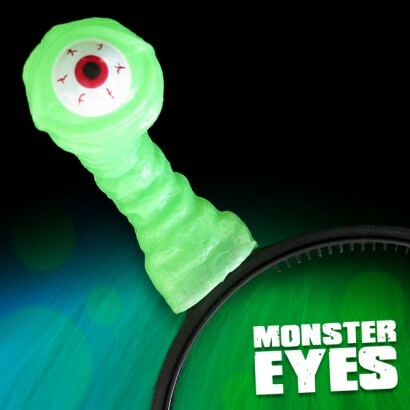 Funky Flashing Monster Eyes at wholesale prices! 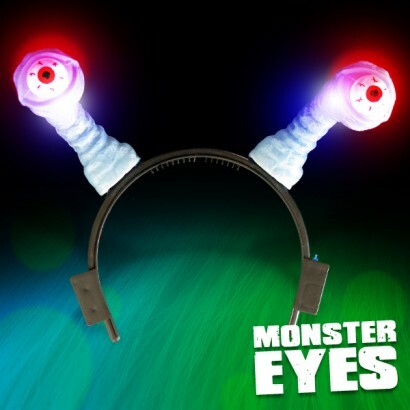 These fantastic themed head boppers are ideal for parties and events; monster antennae topped with staring eyes are lit by red and blue LED's for hilarious effects. 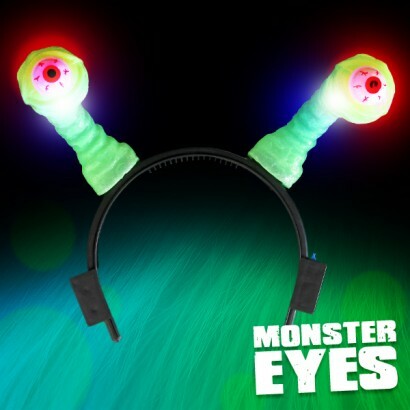 Perfect for little monsters everywhere, Flashing Monster Eyes are available in green or blue and have batteries included. 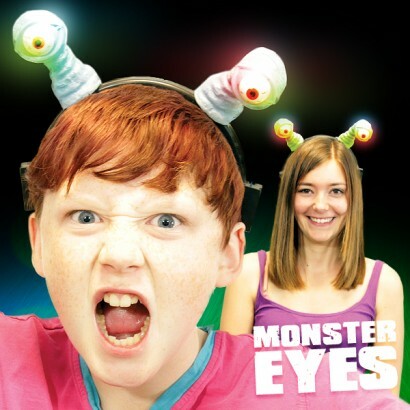 3 x AG10 batteries included and ready to go!